A mockup of the bunker of Nazi leader Adolf Hitler is pictured during a media tour of the exhibition ‘Hitler - How Could it Happen?’ in a World War II bunker in Berlin, Germany. More than 70 years after Adolf Hitler committed suicide in his Berlin bunker in the final days of World War Two, an exhibition in the capital examines how he became a Nazi and what turned ordinary Germans into murderers during the Third Reich. For decades it was taboo in Germany to focus on Hitler, although that has begun to change with films such as the 2004 "Downfall", chronicling the dictator's last days, and an exhibition about him in 2010. 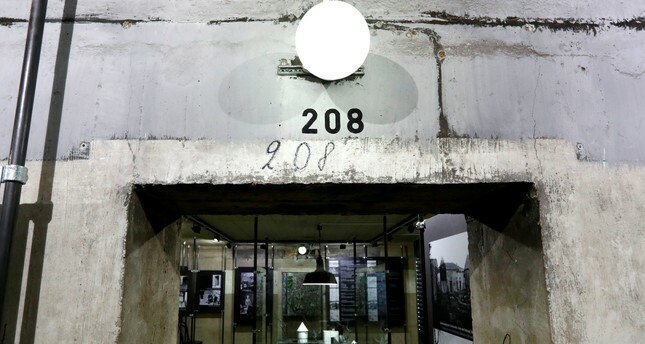 The exhibition "Hitler - how could it happen" is set in a bunker in Berlin that was used by civilians during World War Two bombing raids - close to the bunker where Hitler lived while Berlin was being bombed and which is not accessible to the public. It examines Hitler's life from his childhood in Austria and time as a painter to his experience as a soldier during World War One and his subsequent rise to power. Other exhibits focus on concentration camps, pogroms and the Holocaust that killed 6 million Jews. Exhibition curator Wieland Giebel, 67, said he had been accused of "Hitler Disney" for putting the room on show. But he defended the decision, saying the exhibition focused on the crimes carried out by Hitler's regime, adding: "This room is where the crimes ended, where everything ended, so that's why we're showing it."